This Project is Not Currently registered with MAHA RERA!! This Project is Not Currently registered with MAHA RERA and as soon as we get the information we will update you. In case, this project is RERA Registered - please mail us at rera@mumbaipropertyexchange.com with the RERA Registration Number and we will validate the same. 0 buyers have shortlisted this project. Apartments starting from Rs.2.33 Crs. Rodas Enclave Arlington is a 24 storied Ready Possession Project and the location is Hiranandani Estate, Off Ghodbunder Road, Patlipada, Thane West and is developed by Hiranandani Constructions Pvt Ltd. Rodas Enclave Arlington was launched in Rodas Enclave Arlington is RERA approved has the Registration Number bearing . Rodas Enclave Arlington is tagged as Investors Delight / Self Use. Hiranandani Constructions Pvt Ltd also has other under construction and ready possession and sold out projects like Somerset, Octavius, Eldora, Heritage, Mayflower, Lightbridge, Ixora, Woodrose, Meridian, Springhill, Queensgate, Evelina, Fiona, Crown, Silverlink, Spenta, Flora, Jasper, Villa Royale, Buttercup, Penrith, Northside, Torino, Glen Dale, Glen Ridge, Villa Rica, Villa Grand, Richmond Tower, Casa Marina, Casa Blanca, Chelsea, Amanda, Canary, Brookhill, Gemini, Tribeca, Paloma, Elysium, Maitri Park, Hiranandani Heritage Rivona, Hiranandani Iris, Hiranandani Estate Astra, Hiranandani Heritage Pristina, Rodas Enclave Evergreen A and B , Rodas Enclave Sunrays, Rodas Enclave Woodstock, Rodas Enclave Woodpark, Rodas Enclave Annora, Rodas Enclave Arlington, Rodas Enclave Clayton, Rodas Enclave Rosehill, Hiranandani Heritage Estonia, Rodas Enclave Leona, Rodas Enclave Marvela, Rodas Enclave Royce, Rodas Enclave Basilius, Fedora, Rodas Enclave Bankston, Rodas Enclave Eva A and B, Rodas Enclave Rosemount, Rodas Enclave Woodville, Fortuna B, Ventana, Lavinia A and B, Hiranandani Zen, Cardinal, Hiranandani Solitaire, Calvina, Hiranandani Adalia , Tamara, Belicia, Hiranandani Atlantis , Rodas Enclave Phillipa, Hiranandani Maple, Fairway, Hampton, Preston, Willowcrest, Barrington, Clifton, Cloverdale , Eagleton, Hiranandani Castle Rock, Hiranandani Obelia The Walk, Rodas Enclave, Barca, Skylark Enclave Flamingo, Skylark Enclave Pelican, The WALK Castalia, Senina. The property prices in Thane West are in the range of 9300 to 12700 for Outright for ready and under construction projects. 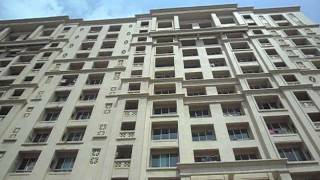 Hiranandani Constructions Pvt Ltd currently has 18 Ready Possession, 16 Under Construction projects. Rodas Enclave Arlington has good reviews and the ratings of this project are approximately 4 out of 5. You can download the brochure of Rodas Enclave Arlington and you can see the latest digital pictures, Floor Plans, Location Plans & Rate History on our website. The Bookings for the Ready Possession project Rodas Enclave Arlington are open and we can set up a Site Visit any time at your Convenience. Rodas Enclave Arlington is approved by most of the Banks and for more details on the approved bank list, please connect with us. Rodas Enclave in Hiranandani Estate is a township. Offering around 18 luxurious towers, out of which 'Arlington' is a Stilt+24 storey tower offering 2 and 3 BHK Luxurious apartments having all the modern amenities. 1152 sq.ft. Carpet - Base Price ₹ 2.33 Crs. 1183 sq.ft. Carpet - Base Price ₹ 2.39 Crs. Rodas Enclave Arlington details were updated in Dec 2018. The community is our reason of existence, and its happiness is our motivation. Ever since its inception in 1978, Hiranandani group has believed that its success comes from its people. Wherever there are people there is an opportunity to serve. Every activity, be it in real estate, education, healthcare, hospitality, leisure or entertainment has steadily focused on creating a better experience in every aspect of life. While corporate has gone from strength to strength, the Group is primarily synonymous with quality, commitment towards customers, reliability, and excellence in architecture. Hiranandani has continually pioneered newer technologies, bold design and precision engineering to create landmark residential townships and commercial complexes. Propelled by the drive to change expectations and the lifestyle of people thus changing the skyline of the city, Hiranandani has ushered in an era marked by higher standards of living and global lifestyles. The Group is known for its projects of Hiranandani Gardens, Powai, Hiranandani Meadows, Thane, Hiranandani Estate, Thane, Hiranandani Business Park Powai & Thane. Rodas Enclave Arlington - Hiranandani Constructions Pvt Ltd Approved by the following Banks in Mumbai, Thane and Navi Mumbai. Click on the link below to download a Printable Rodas Enclave Arlington Project Brochure.